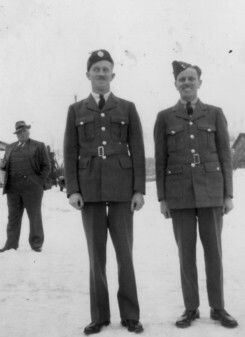 Earl and Frank Valentine, 1945. Gunner E. Frank Valentine, RCA, was the son of Mr. and Mrs. A.F. Valentine.